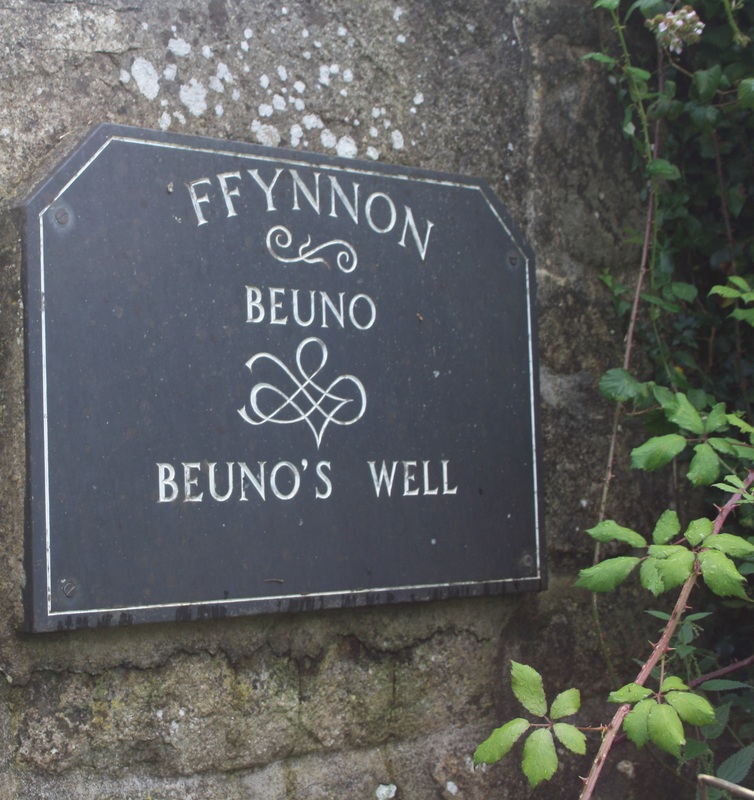 The well dedicated to St Beuno at Clynnog Fawr is amongst the finest of a considerable number of wells dedicated to the saint across Wales. 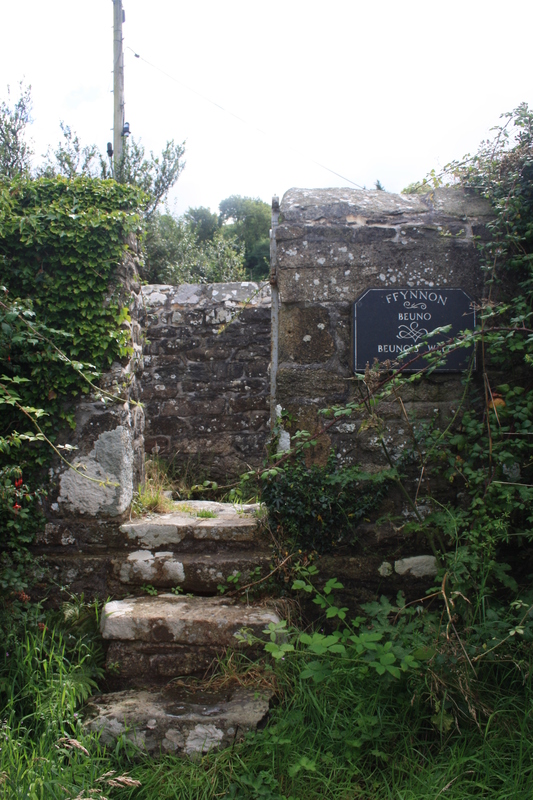 It was at Clynnog that Beuno founded his last church at the end of a journey that saw him traverse the country from south to north then east to west. The church at Clynnog is notably much larger than a village of its size would normally require. The earlier St Beuno’s chapel adjoined to the church, is said to occupy the site of Beuno’s own chapel and a seventh century monastery which were both reputedly destroyed by fire during a Viking raid around 978. The present chapel dates from the sixteenth century, excavations inside have revealed the foundations of earlier buildings. 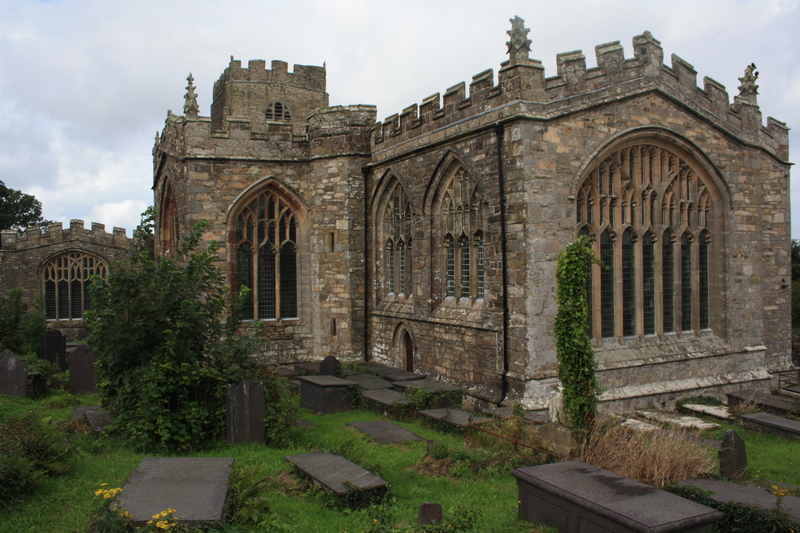 Beuno’s remains are said to have been interred within the building. The remainder of the church was renovated in the nineteenth century, although most of the original structure which dates from between the fifteenth and seventeenth centuries remains intact. The monastery was restored by the Carmelites, white friars, before 1200 and they occupied it until the dissolution. The well lies by the old roadside around 200 yards to the west of the church. The village, and well, now bypassed, lay on the principal pilgrims route to Bardsey and would have been an important stop on their journey, particularly with its associations with St Winefride. 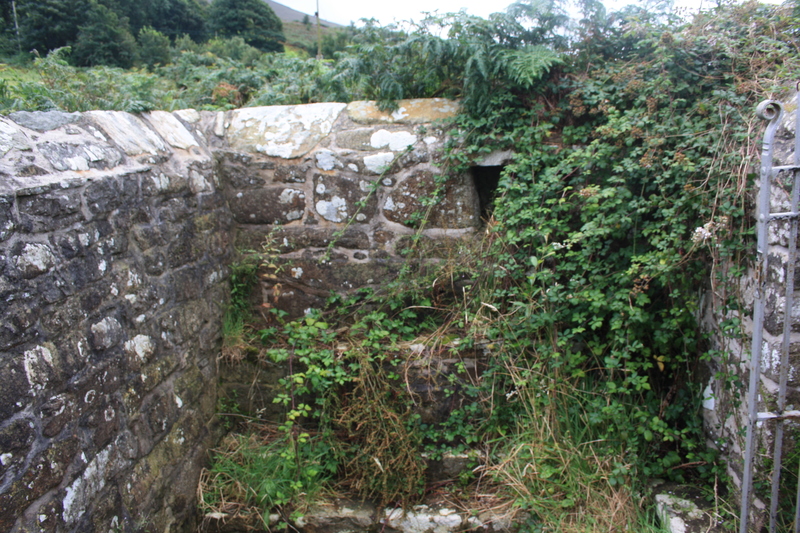 It has been reported that the well has suffered from vandalism in recent years, however it appeared clean and well kept, though somewhat overgrown, on the day of our visit. 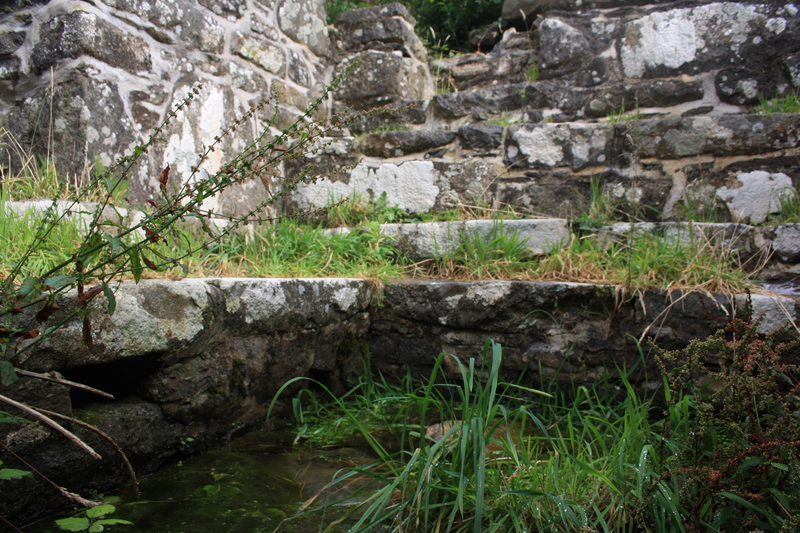 The spring is enclosed in a square stone pool, with stepped seats around it on two sides, and the whole enclosed by a wall rising to some eight feet. 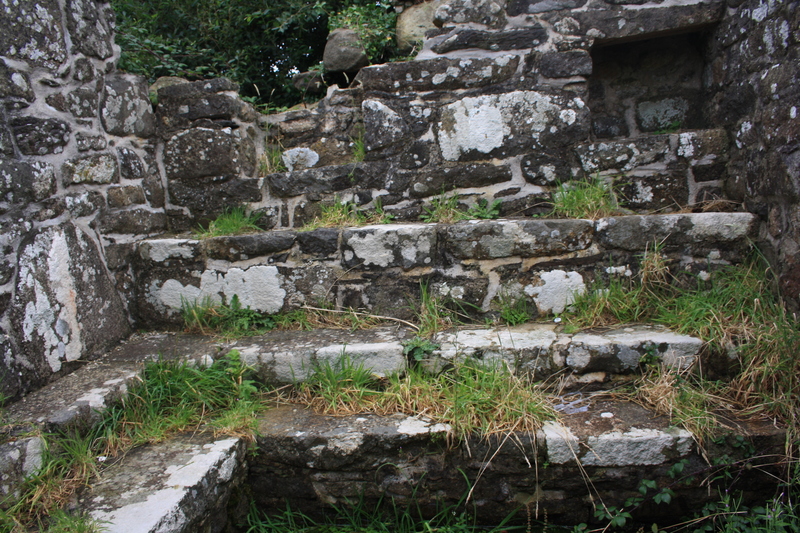 It is approached by a short pathway and steps from the roadside, from where it is clearly visible. 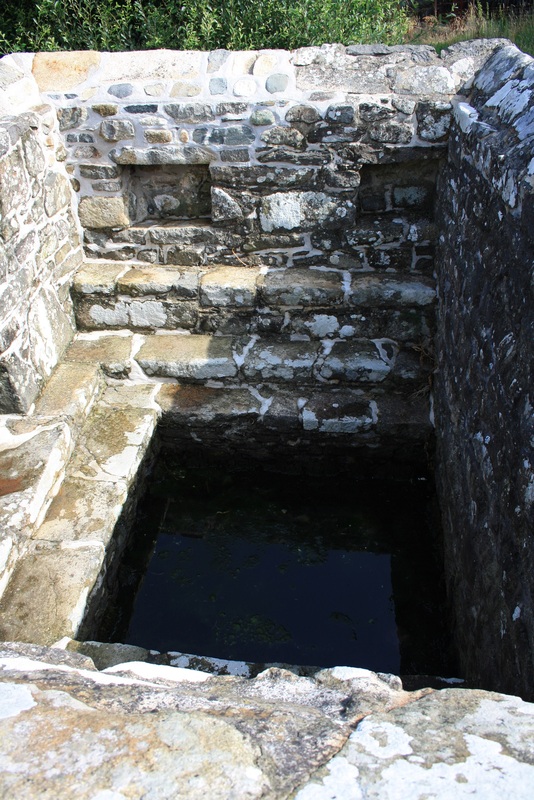 The well was traditionally resorted to for the treatment of sick children, in particular those suffering from epilepsy and rickets. It was also claimed to cure impotence. After bathing the patient was carried to St Beuno’s chapel and laid on rushes overnight on Beuno’s tomb, a plain altar like structure that stood in the centre of the chapel before Beuno’s shrine.. If they slept then the cure would be effective. The tomb was finally demolished, since it had become unsafe, in 1856. One piece, indicating how grand it might once have been, is preserved in the church. 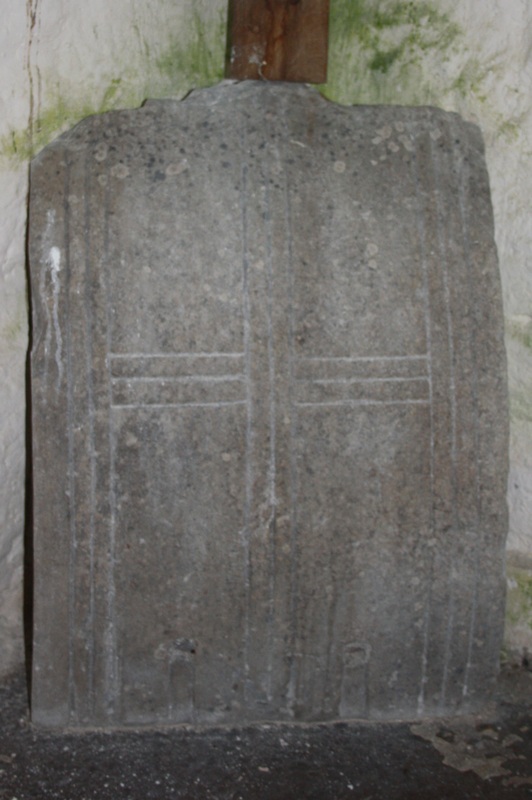 There was another belief that water containing scrapings of stone from the pillars of the chapel was good for sore eyes; and there are records of bullocks being slaughtered and offered to Beuno in the church to ensure the wellbeing of local cattle. This custom was later replaced by monetary offerings and the sale of cattle and sheep bearing particular ear markings for the same purpose. Offerings, stored in “Beuno’s cyff” were used to aid the poor of the community. 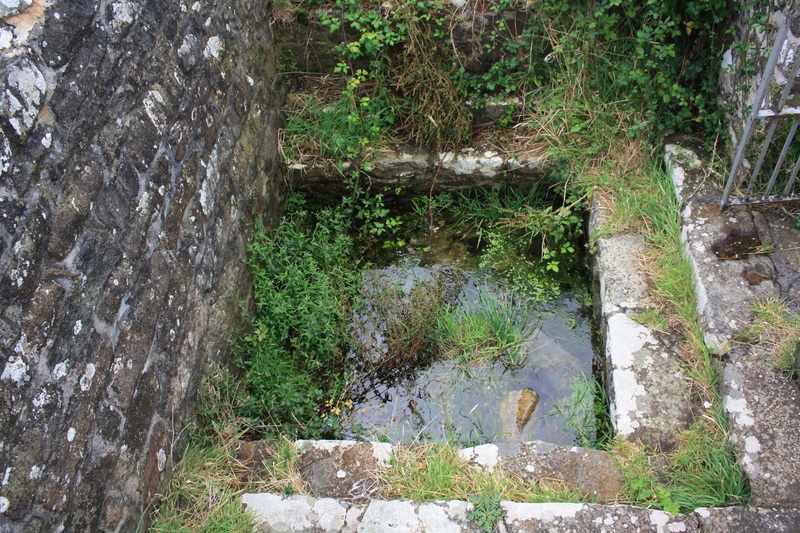 We left off the story of Beuno at the end of our discussion of his well at Gwyddelwern, and touched also on his story when describing St Winefride’s Well at Holywell, We conclude his story here. Beuno followed King Cadwallon from Holywell to Caernarfon, but very quickly fell into dispute with him, and was offered land at Clynnog and on Anglesey by Gwyddaint, a cousin of Cadwallon. Here he established his churches and cells, and lived out the remainder of his life. It was at Clynnog that once again legend recounts how he came to the rescue of a damsel in something more than a little distress. In this case it was the princess Tegiwyg, daughter of King Ynyr. Beuno’s shepherds found the body and Beuno was soon on hand to perform another miracle. The restored Tegiwyg was given the option to return to her father but instead chose to remain with Beuno and to serve God. Just as in the case of Winefride years before, at the spot where her blood had fallen a spring of cold water burst forth. This was Ffynnon Digiwg, more commonly now known as Ffynnon Digwy, and lies a little to the south of Clynnog. In all, Beuno is claimed to have restored six people to life, and legend has it that one day, at a time of need, he will be on hand to revive a seventh. Hast though heard what Beuno sang? Beuno’s feast day is celebrated on April 21st. Just a couple of pictures taken in August 2014 to show that the well has been substantially cleaned up – outside and in, since the original pictures were taken. I recently visited this well and I’m very happy to say that it’s been cleaned up a great deal and is no longer overgrown with vegetation. In fact the water was perfectly clear to it’s stony bottom. That is good to hear – a few people have said that it isn’t often as overgrown as it was the day I was there. I will be out that way again in a week or two, so I shall stop off and take another look. It’s good that it’s still being looked after. 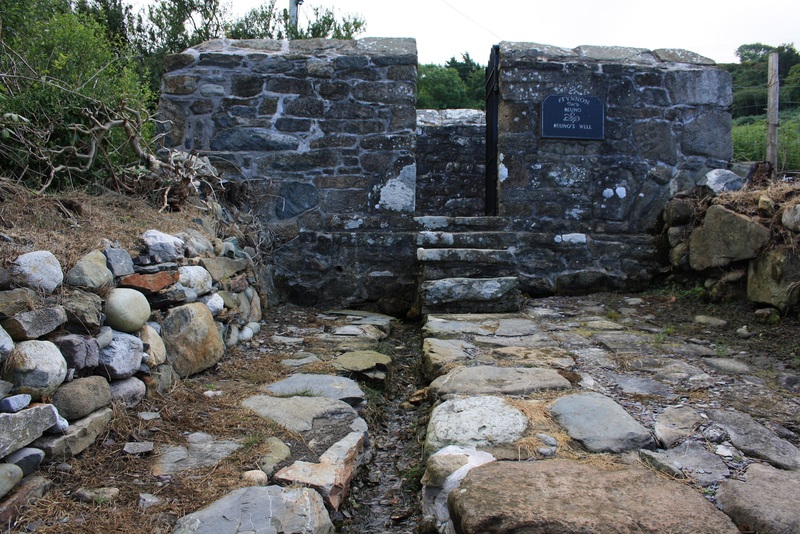 I went looking for the well when I was visiting the dolmen and then the church at Clynnog Fawr. I couldn’t find it , so it was good to read about it here. Will know where to go next time! shame that you missed it – I don’t think it is particularly well signposted from the church – which is quite surprising really.